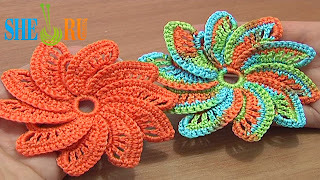 Begin to crochet beautiful flowers with detailed video instructions. This beautiful spiral flower has 10 petals. Each petal was made separately around the treble post. Use the rainbow color yarn to make it bright and unforgettable. All the best! 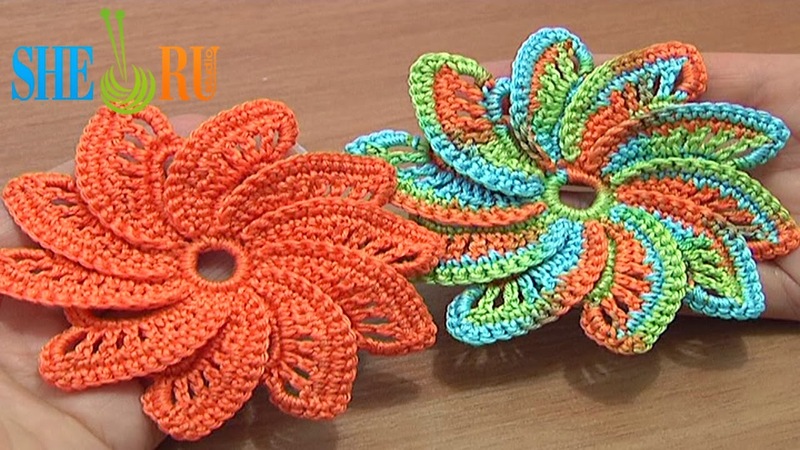 To make this crochet flower use the yarn 100% Cotton, 169m/50g; and Steel Crochet Hook 2mm (or #4 US standards).